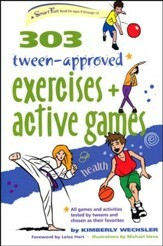 We all know kids can't sit still so let's tap into that energy for health and fitness. 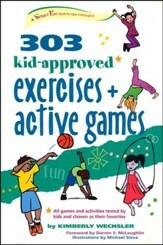 303 Kid-Approved Exercises and Active Games provides parents, teachers, and counselors with activities especially designed for children ages 6 to 8, as well as information on how best to teach them. 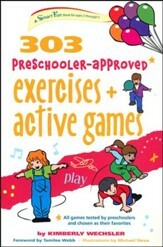 Wechsler explains the importance of recognizing that each child develops at his or her own pace and how to use what the group has in common to get the most out of each session. 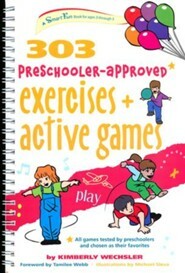 A section at the beginning of the book talks about planning ahead, putting safety first and adapting to weather and the environment. 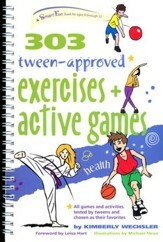 Spiral Bound. 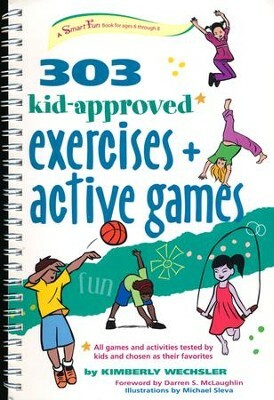 I'm the author/artist and I want to review 303 Kid-Approved Exercises & Active Games.